The Museum can be a very busy place around the holidays. We generally try to have themed or special programming for our visitors to enjoy. The weekend after Thanksgiving, we decided to let the visitors build forts in MAKESHOP. The picture above is a good example of how we typically get ready for a weekend full of special programming in MAKESHOP. 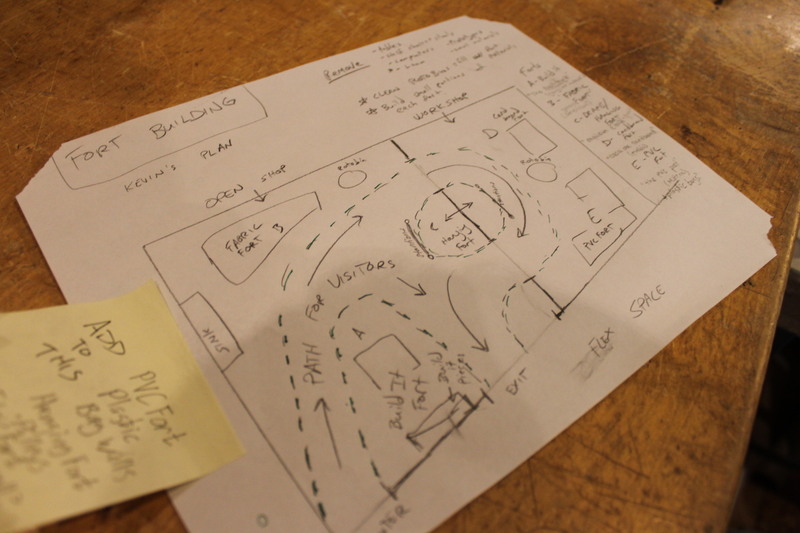 It always helps to draw out some kind of floor plan for the space. Planning for events or special workshops can be a lot of fun. 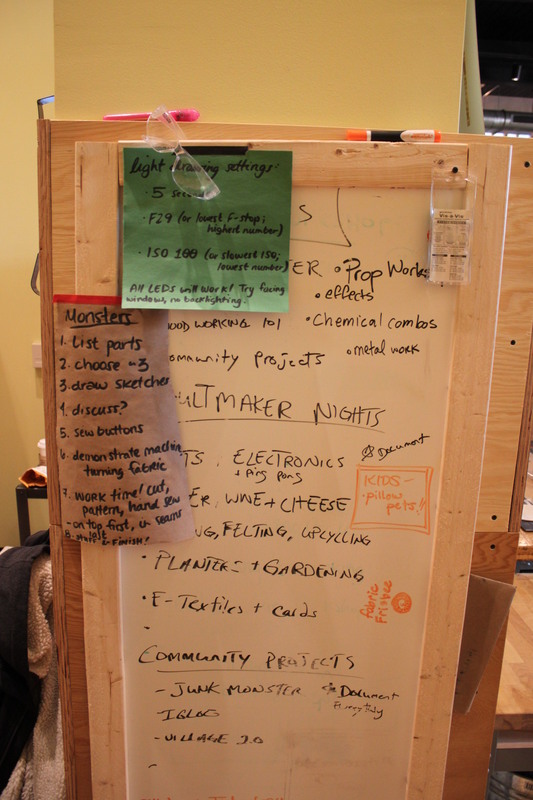 MAKESHOP is a great space for different activities because it is such a flexible space. Communication is important, too. It can sometimes be hard to keep track of all of the different projects that we are planning. I find it really helpful when someone creates instructions for specialized projects. For example. Christian wrote out some professional, but hand-written instructions for the clock making kits that visitors could purchase in the Museum store throughout the month of November. 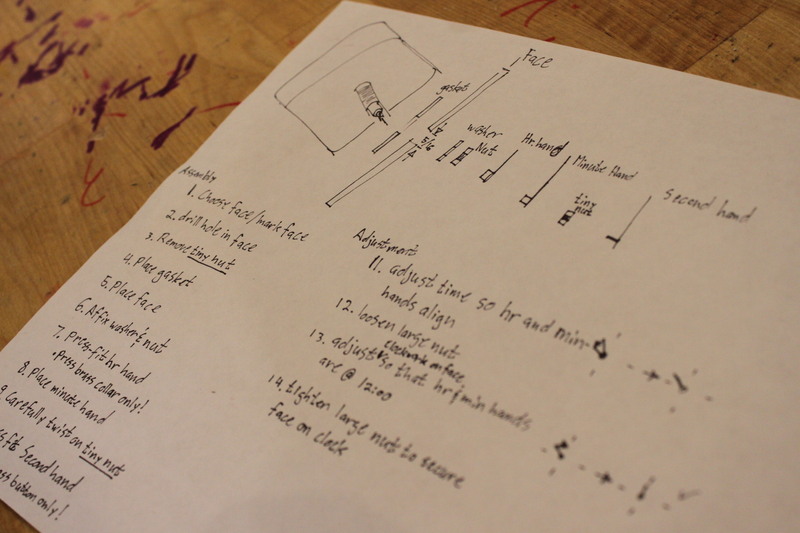 We had a similar, hand-drawn set of instructions for the light fixture kits that can be purchased during December. Below is great example of a brainstorming/idea formulating message board. It is just a dry-erase board nailed to a wall in the back office of MAKESHOP. This allows for us to share ideas, prototypes, etc. It’s an easy way to share things in a quick manner!